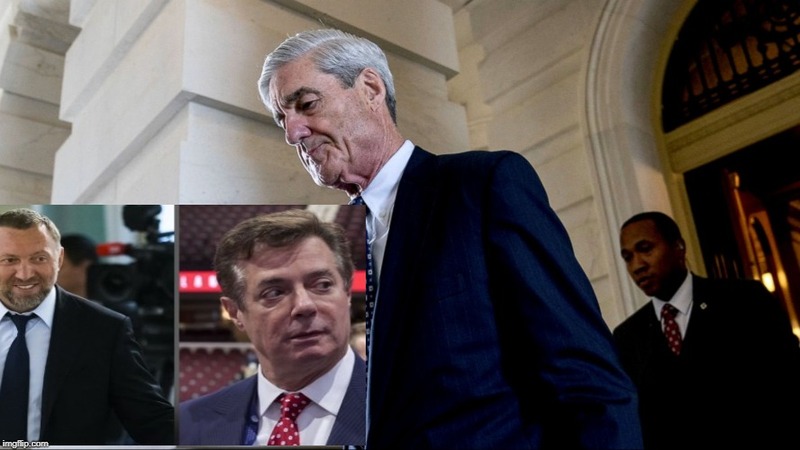 Central to the FBI's current case against Paul Manafort is the allegation that as Trump's former campaign chairman, Paul Manafort supposedly offered Russian Oligarch Oleg Deripaska, who holds close ties to Vlad Putin, with direct briefings concerning the 2016 election. This allegedly occurred less than two weeks before Trump accepted the GOP presidential nomination. The conflict of interest occurs, in part, where Mueller conscripted this same Russian oligarch, in 2009, to aid him with trying to get one of Mueller's FBI team members out of Iran. Deripaska actually spent upwards of $ 25 million dollars of his own money to help Mueller, which then leaves the former FBI Director with a clear obligation to Deripaska, among other issues...including a clear case of colluding with a Putin oligarch, leaving Mueller heavily exposed...and guess who connected the two men together? One agent who helped court Deripaska was Andrew McCabe, the recently fired FBI deputy director who played a seminal role in starting the Trump-Russia case, multiple sources confirmed.